Perhaps a cliche, but the true essence of minimalist design stems from the notion of less is more. By reducing colour use, form and space, minimalist design is enriched by simplicity and the essential nature of these elements. The kitchen is perhaps the most used domestic area, and as such, is susceptible to clutter and the chaos it creates. 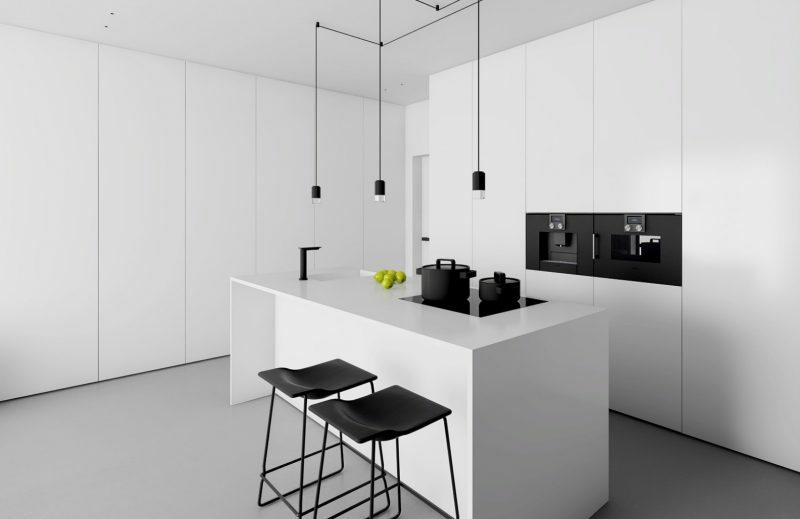 Through minimalist kitchen design, architects and designers are encouraging end users to embrace minimalistic principles — another example of how influential design is to the human race. 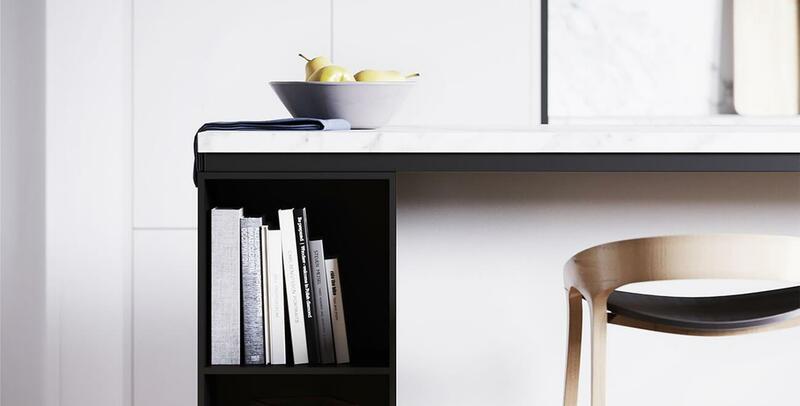 So, here are our 5 tips for achieving minimalist kitchen designs. Incorporating appliances behind kitchen cabinetry creates that sense of sleek uniformity prolific throughout minimalist kitchen designs. Novas Joinery can provide expert advice on the intricacies of engineering airflow for appliance integrations — contact us for more information. As we continuously move towards smaller and more open plan living spaces, creating minimalist, streamlined and seamless kitchens works brilliantly in enhancing space. Using predominantly one colour similarly creates and supports the notion of uniformity. In most cases, the use of white is particularly powerful in conveying clean simplicity. 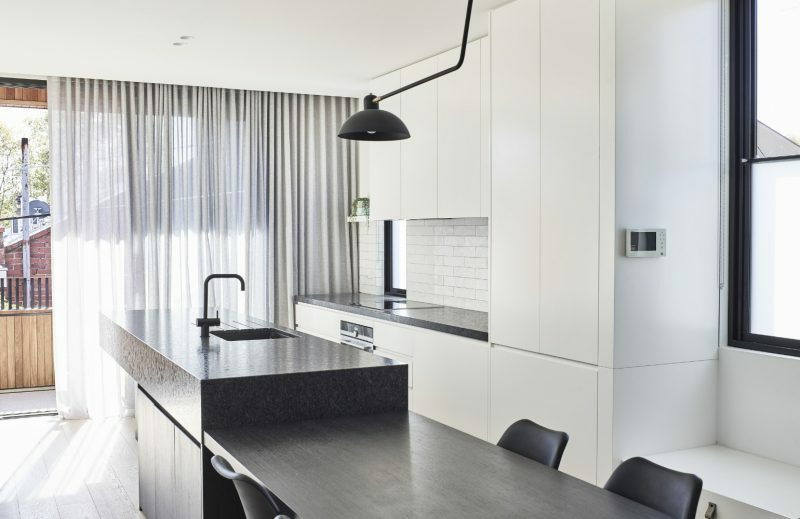 Glass splashbacks work perfectly in continuing this monochromatic aesthetic. Novas Glass & Glazing offers Clear and Ultra Clear options to ensure your glass splashback design achieves exactly the colour you’re after. 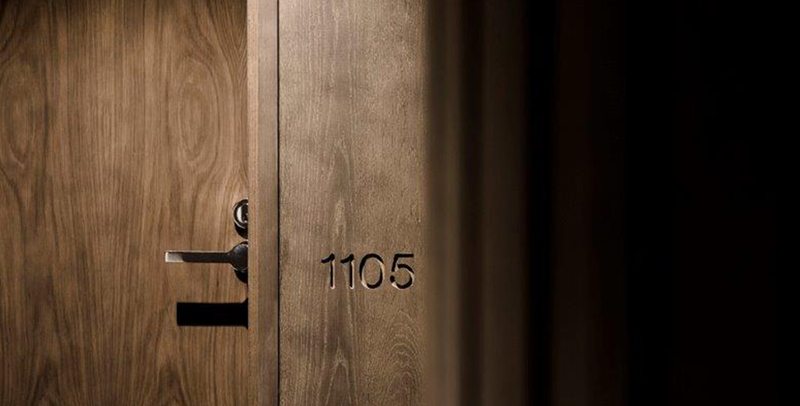 Combinations of simple colours and natural materials not only work well in creating an effortlessly clean aesthetic with interesting texture and colour contrasts, but they’re easily adaptable within the ever-evolving design space. 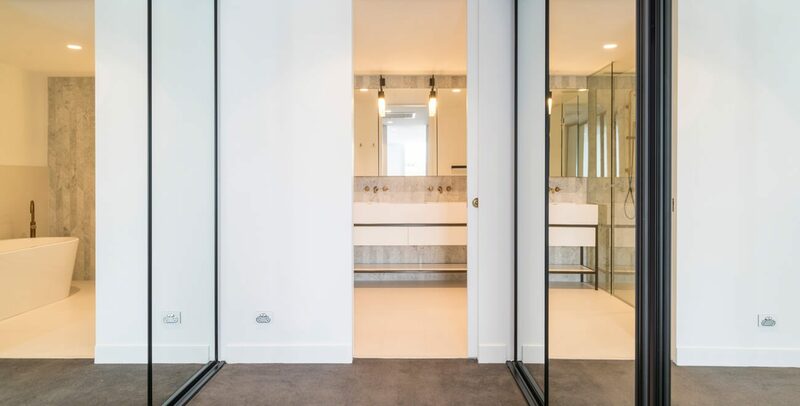 By keeping things simple, architects and designers are able to create truly remarkable minimalist designs. Remembering the minimalist notion of removing all that is unnecessary, we’re now seeing the functional redundancy of unconcealed kitchen pull handles. 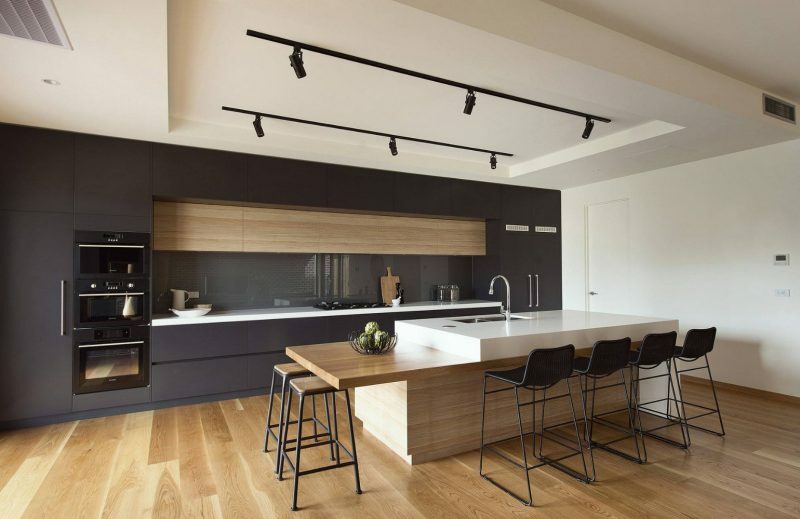 By incorporating push systems and mechanisms, integrated handles, and/or hidden pulls, kitchens immediately feel lighter, less cluttered, and as a result, minimalist. Whilst we’ve noted the power of concealing appliances and hardware, we understand that not all kitchen elements can be hidden. 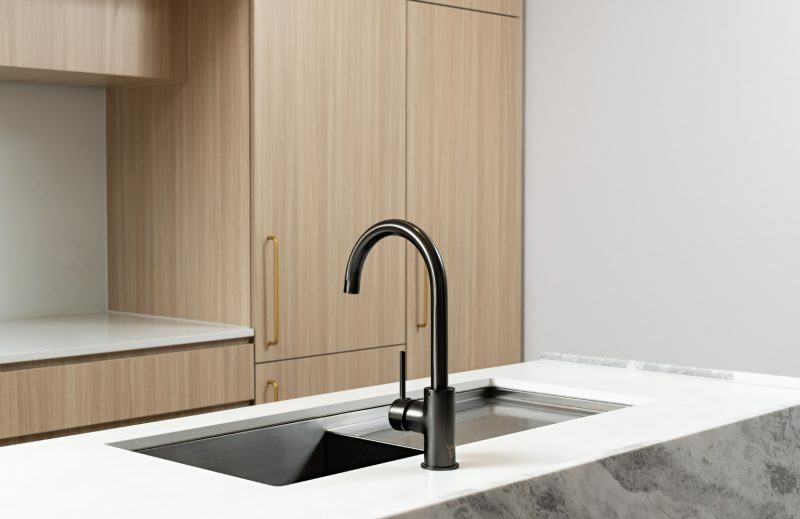 As a result, specifying sleek and simplistic tapware, stovetop and sink products are essential to minimalistic design. 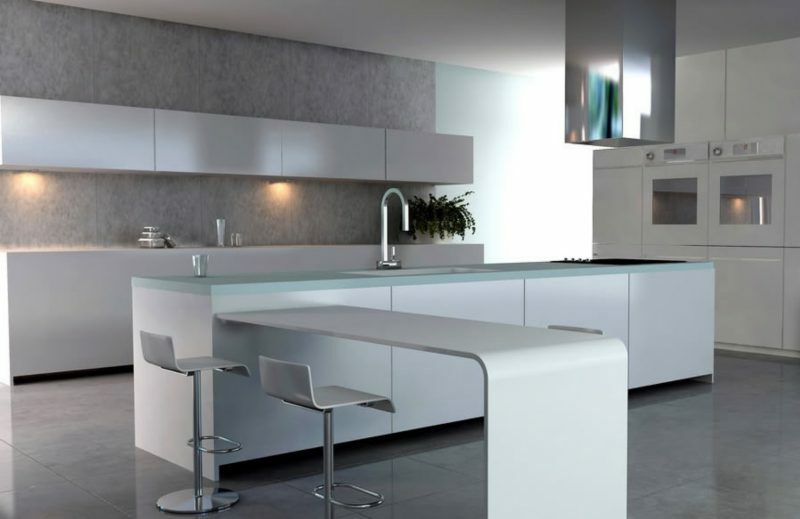 Novas Kitchen & Bathroom offers a sophisticated range of kitchen tapware products with a strong focus on simple and contemporary designs, as well as an array of customisable stainless steel kitchen sinks. You can browse the collections here. The minimalism philosophy indicates that it is achieved when one cannot remove anything else from the design to improve it. In a world brimming with excess, minimalism is a breath of fresh air. It is achieved not by adding, but by simply removing — drawing back to somewhat primitive notions of necessity, rather than desire. We are thrilled to be one of the many moving parts in making these simple yet brilliant designs come to life. Contact us to find out how we can help with your next design.